Rough and ready with a luxury interior. While we wait for the next generation Land Rover Defender to arrive, here’s a chance to see what a top-of-the-line variant of the current Defender would look. Land Rover reserves its Autobiography trim for the Range Rover, Range Rover Sport, and Evoque, and tuning house Startech envisioned what that would like if applied to the Defender. We’re not sure Defender buyers care for luxury interiors, but the German aftermarket firm has certainly given them something to think about. 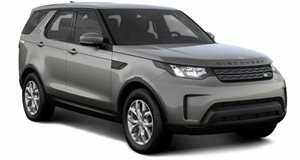 Land Rover should also take note with the next-gen model. The bulk of the upgrades happen in the cabin, which comes swathed in bespoke cream leather and elegant white surfaces throughout. The rear benches, separated by a beautifully-finished wooden floor, also receive the same upholstery treatment, while the Defender also boasts a leather-wrapped steering wheel, new aluminum pedals and a Focal sound system complete with Swell speakers. Blacked-out ‘Defender’ lettering dominates the front end of the offroader which also gets a set of 18-inch Monostar D Black wheels, aluminum running boards, a custom grille with extra lights, a new hood and dirt flaps. The dark exterior contrasts well with the earthy tones of the interior, and while we doubt Land Rover would approve of giving its utilitarian model a luxury makeover, we think it will appeal to those who enjoy pickups purely for their aesthetics.